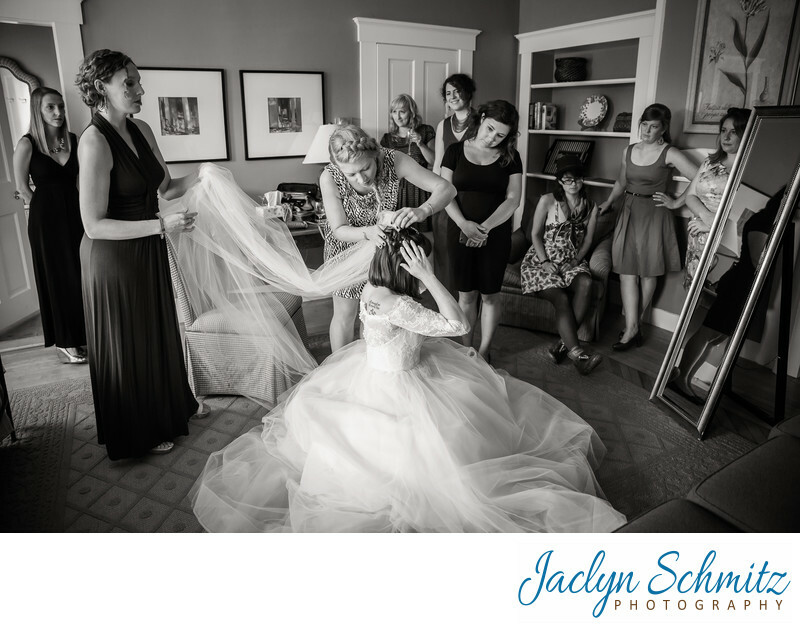 Caitlin the bride sits on the floor while her informal wedding party watches as she puts on her long cathedral veil. The large getting ready room at Inn at Mountainview Farm is spacious enough to fit all of her close friends as they surround her and happily chat as she completes the final touches of getting ready. 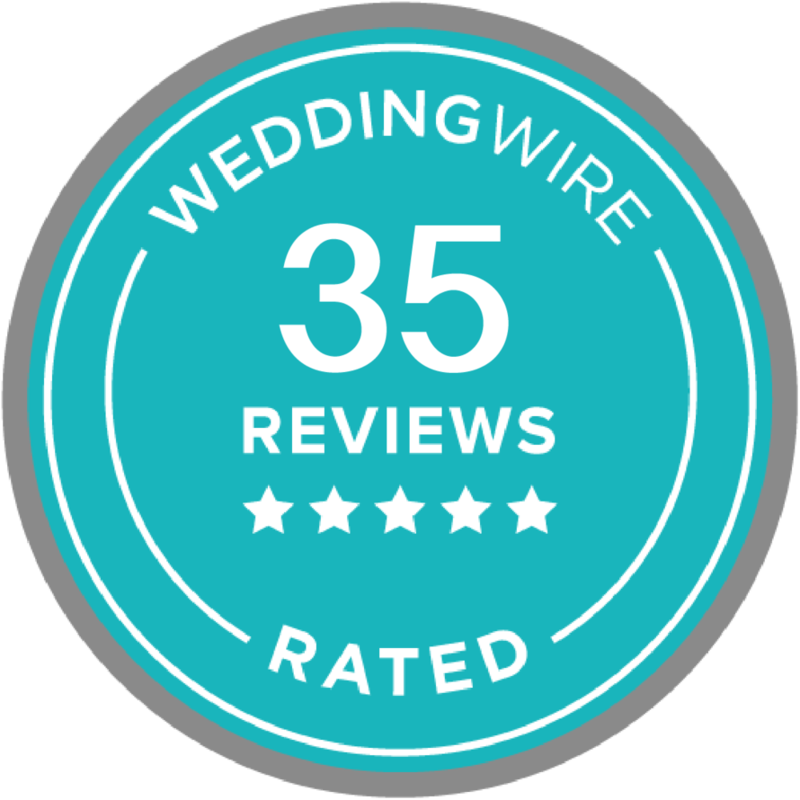 The Inn at Mountain View Farm has a variety of rooms which makes it an ideal location for weddings with large bridal parties, or couples who would like to have rooms for relatives to spend the night. There are two completely separate buildings, each with their own kitchens, which is perfect for keeping the guys and girls separate as they get ready (or celebrating the night before!). 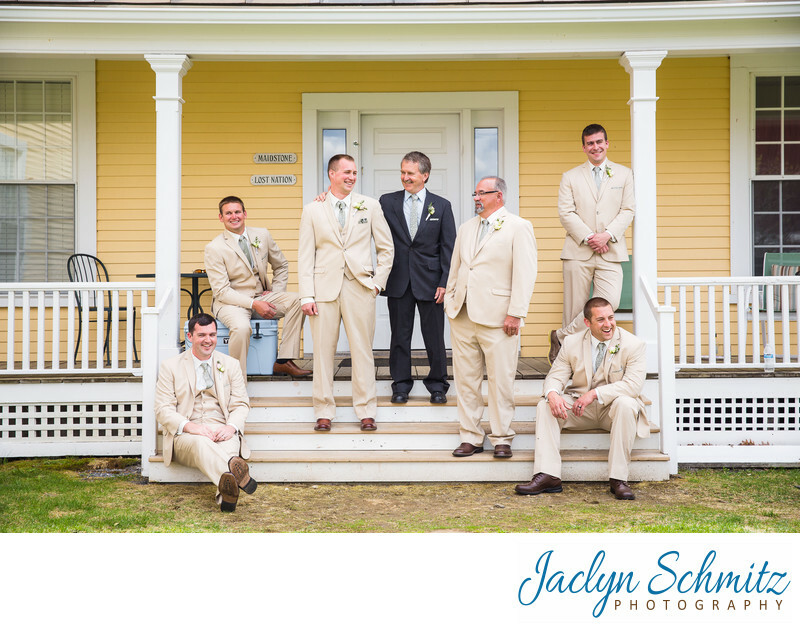 Both buildings also have traditional white porches which makes for some classic portrait locations. Location: 3383 Darling Hill Rd, East Burke, VT 05832.